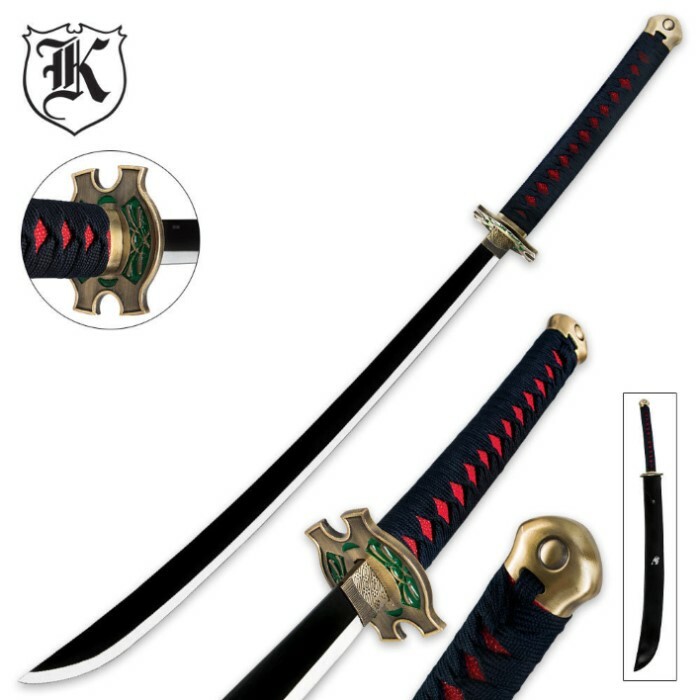 We've got another new anime fantasy-style sword for you in the form of this stunning samurai fantasy sword. This sword features a 26.5 in. stainless steel blade met by an antique brass finished tsuba with hand-painted green accents. 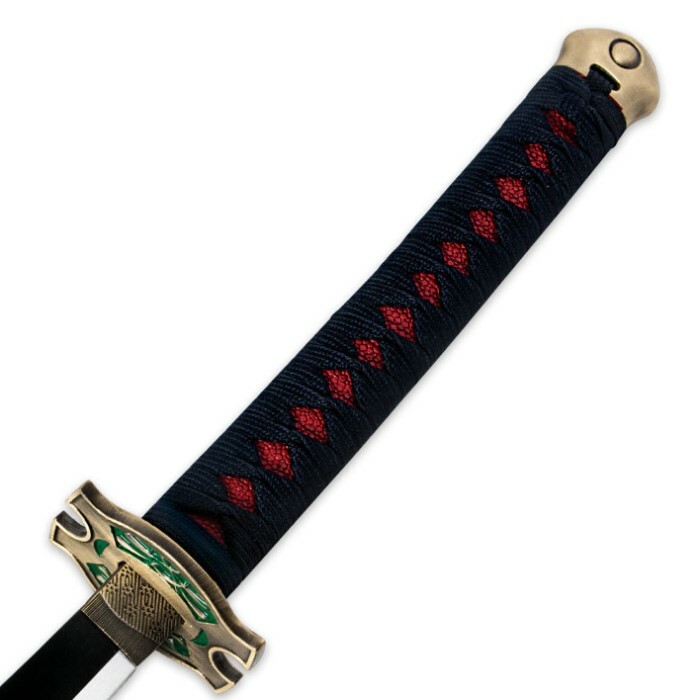 The red imitation ray skin handle is beautifully wrapped in dark blue cords, giving this sword an imperial look and feel. 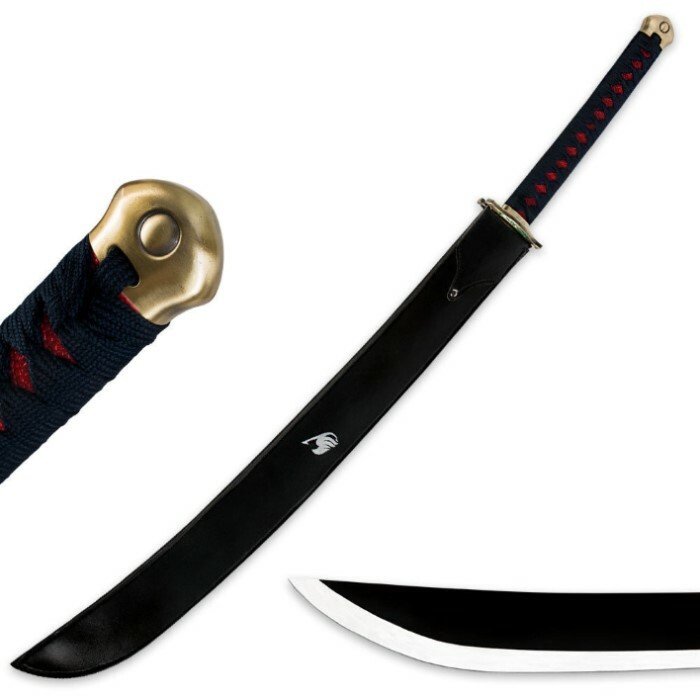 A leather blade scabbard is included.